What is provisional Patent Specification and what documents needed to file a Patent application? CentrikBlogsLegal AdvisoryAuthentic Legal AdviceWhat is provisional Patent Specification ? When you want to publicize your research and development work but it is still not the final work. In this case, you can map out a description of the invention as a provisional specification and submit it to the patent office to secure the priority date of the invention. Provisional Patent Specifications: It can be filed when the work is not completely mature. It is compromising as it doesn’t include all the parts of a patent application. Complete Patent Specifications (Non-Provisional according to USPTO): It requires filing of detailed claims, therefore, there is no scope for further development. This filing includes all parts of a patent application. It is mandatory that a foreign application filing or a convention application to be accompanied by Complete Specification. In the following article, we will be focusing attention on Provisional Patent Specification. Q. What documents are required to file Provisional Patent Specification? Form 1 (Application for grant of the patent), THE PATENTS ACT 1970 (39 of 1970) and THE PATENTS RULES, 2003. Form 5 (Declaration of Inventorship) THE PATENTS ACT 1970 (39 of 1970) and THE PATENTS RULES, 2003. Form 26 (Power of Attorney). THE PATENTS ACT 1970 (39 of 1970) and THE PATENTS RULES, 2003. If your patent is filed by a Patent Agent then this form is necessary, otherwise not. E-filing fees (Patent Statutory fee) THE PATENTS ACT 1970 (39 of 1970) and THE PATENTS RULES, 2003 (Electronic Payment). Form 3 (Corresponding foreign patent application statement and undertakings) THE PATENTS ACT 1970 (39 of 1970) and THE PATENTS RULES, 2003. Priority Document (This is used for convention applications if priority date is claimed). The application should not be a rough draft of Complete Patent Specification. It must say the scope of the invention which will be based upon the following Complete Patent Specification. In case of any addition or development in the invention after the filing of Provisional Patent which is not included in the scope of the invention will not have an advantage of the priority date of Provisional Patent. The applicant must take into account that it is not the final step towards securing a patent, it is just the beginning towards Patent Registration. One must pay attention to time period of 12 months. If the applicant does not file Complete Patent Specification within the time period then the patent application will be considered to be accede. Complete and requisite disclosure should be made in Patent application for securing his patent. A rough set of claims should be designed in order to anticipate the invention and understand the hypothesis of the invention completely. 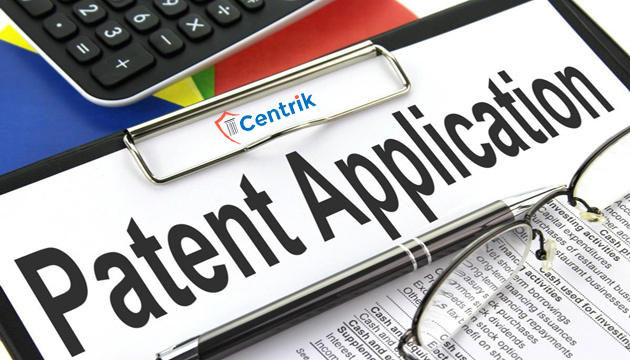 Though in the above article we tried to enlighten about Provisional Patent Specification, if you are planning to apply for patent application; We at Centrik would be delighted to guide you. We are a group of core team members working continuously and aggressively for customer’s satisfaction.